… I get news crossing my digital desk that shows just how much more to my tastes the watch can be made! We’ve talked about other GoS Sarek watches before, and have spoken at length about the lovely colors achieved in the Damascus steel dials. Those don’t glow, however, so GoS has gone a different direction to get color and lume on these new GoS Sarek models. 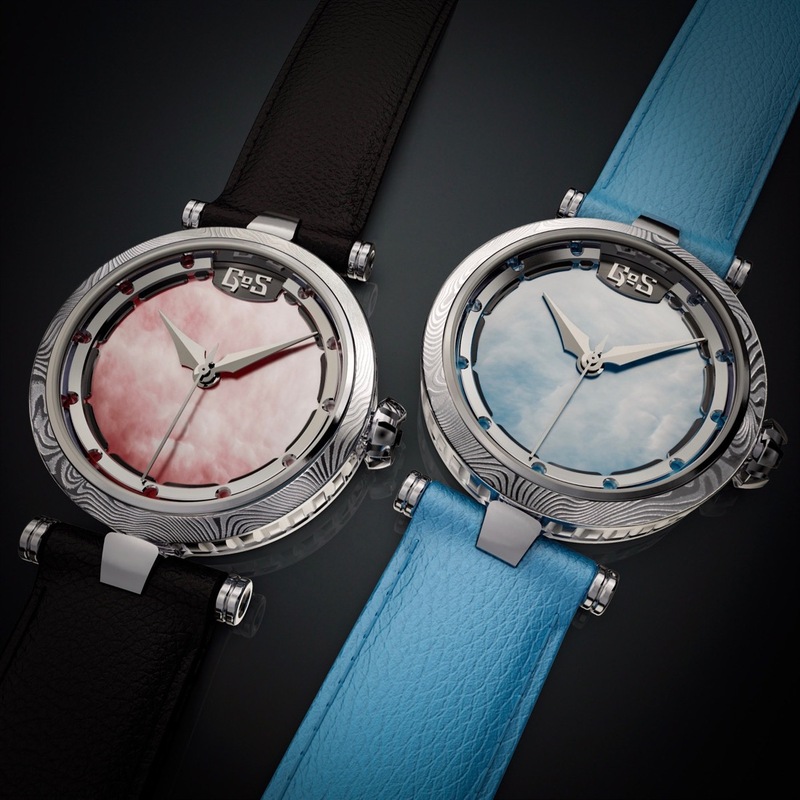 To do that, the new GoS Sarek models – Glacier and Sunset – feature dials made from mother-of-pearl. This is a material that I like – especially on watches – but I was not aware of it’s translucent properties. Realizing that, Patrik Sjögren worked over a two year period to get a luminous layer involved. Simplifying things a bit, there’s a luminous layer the same size as the dial blank, under the dial, which is constantly emitting the luminous color when it’s exposed to light. In other words, should be nice and colorful, light or dark. This is different from some other dials that have been done in the past (by other brands) as we’ve got a LOT more luminous material applied here, and it should be providing color – through that lovely MOP disc of a dial – day or night. With all the MOP talk, you might think focus on the damascus steel – for which the brand is known – has slipped. And that’s not the case. The lovely pattern shows up on the bezel, so that brand DNA is still definitely present. ● Movement: Soprod A10 with GoS triskele rotor, dark satinized and additional counter weight with model engraving “Glacier” or “Sunset”. The retail price of Sarek Glacier and Sunset starts from US$8.500+ applicable taxes. Bespoke elements such as different strap materials or colors on request.